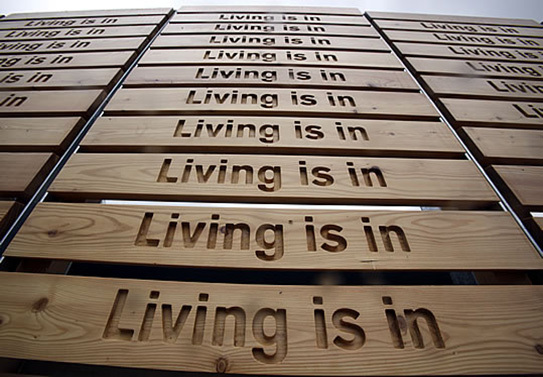 Living Is In is on the left side of an electricity transformer in The Queen Elizabeth Olympic Park. It is the first of three poems commissioned for the Olympics. I was informed there would be a “Danger of Death” sign on the artwork due to regulations. This informed the words. There are four words within this three wordplay poem.